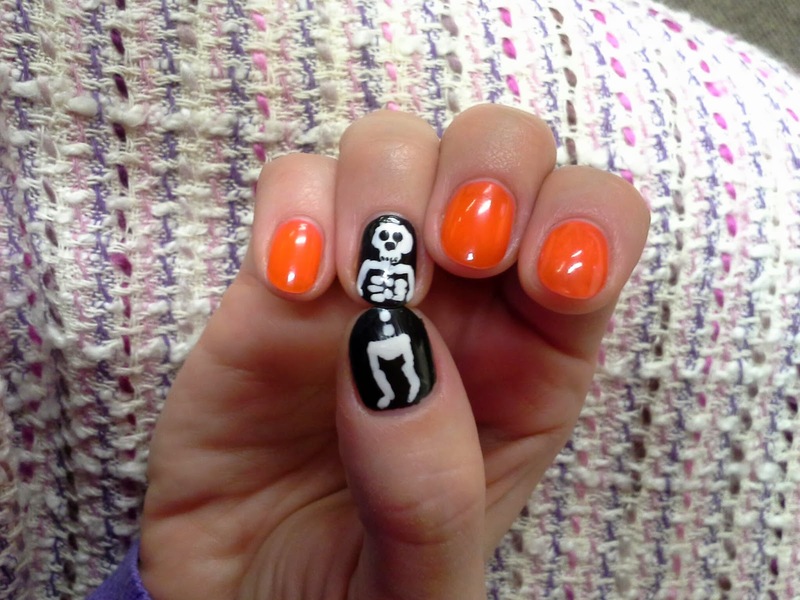 I'm sure everyone has seen this skeleton mani floating around pinterest. When I saw it I knew it had to be my halloween mani. I only did the design on my right hand because I'm left handed and I was scared to try this with my non dominant hand. 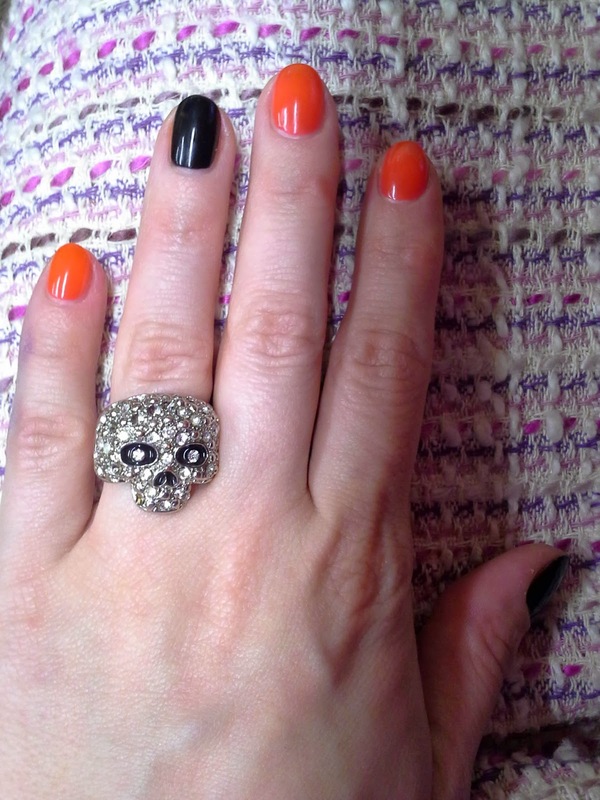 So on the other hand I wore a skull ring. The orange is from the banana republic and milly set, the black is rimmel black satin, and the white is opi alpine snow.